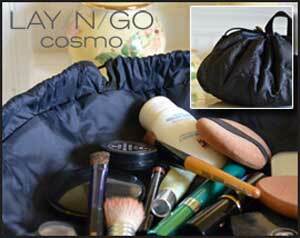 « The Lay-n-Go COSMO Keeps Your Cosmetics Organized and at the Ready While on the Go! With back to school literally around the corner, you may be wondering what you're going to be serving your hungry crew when they arrive home each day. In my house, dinner is usually served much later than 4 pm, so it always helps to have healthy snacks available to tide your family over until then. It's all too convenient to pick up a bag of greasy potato chips or the like, but Sabra Dipping Co. has a much tastier way to ease those after-school munchies. I recently had the chance to sample three of their delicious flavors of hummus, so keep reading to learn more! 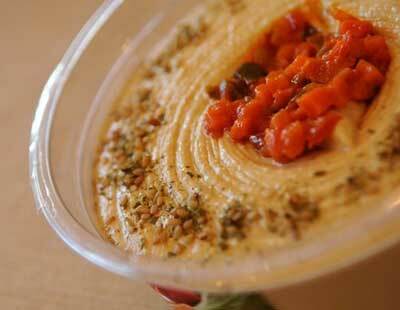 Sabra Dipping Co. offers a line of refrigerated dips just perfect for a wide variety of uses. No matter whether you're looking for a yummy dip to curb those before-dinner cravings, a spread, or even a side dish, Sabra products are a healthier alternative to traditional snack foods and spreads. Asian: At first, my family wasn't sure whether we would really care for an Asian inspired hummus. In the end, this was our overall favorite. I love dipping sushi in soy sauce when I eat it and the Sabra Asian variety definitely brought back those tastes and flavors in this style of hummus. Southwest: Being from Texas, I have to admit that I really appreciated the Southwest and South of the Border taste. This variety best reminded me of dipping a tasty tortilla chip right into the middle of a great big bowl of salsa! Tuscan Herb: This variety was especially yummy and full of flavor, though I have to admit I preferred the other two hummus flavors more. The Tuscan Herb Hummus offered a robust flavor with plenty of tomato and Italian seasonings and would make a terrific compliment when served with bread. All three varieties of Sabra hummus we tried had several things in common. They were fresh tasting and made from quality ingredients. We thoroughly enjoyed the samples we received and I'm excited to say that these snacking options are here to stay in my family. Even Riley enjoyed the hummus dips when paired with her favorite pita chips. If you'd like to begin the back to school routine on a healthier note this year, then be sure to incorporate any of the wonderful flavors of Sabra hummus, guacamole, salsas and veggie dips into your after-school snack selection. You won't be disappointed! 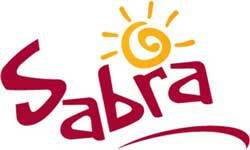 Also, be sure to stop by Sabra's Facebook page and enter to win a recipe makeover! 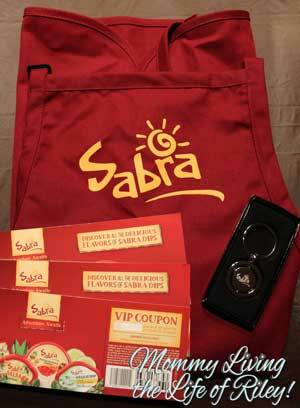 Disclosure: I received the prize pack shown above from Sabra Dipping Co. in order to facilitate my review. No other compensation was received. This product review is based on my own personal experiences with this item and is completely honest and objective. I definitely want to try the Asian variety! I would love to try the Supremely Spicy Hummus but of course I have never seen it in any store. Sabra really is by far the best hummus though! I love the Greek Olive Hummus! I’ve had Sabra’s original hummus but would like to try the Spinach and Artichoke Hummus. The Chipotle Hummus sounds yummy! I’d love to try the Spinach and Artichoke Hummus! I would love to tr the buffalo style hummus, it has some of my favorite flavors! I love buffalo wings, so the Buffalo hummus is perfect! I really like Roasted Garlic Hummus – I love hummus with veggies! I like roasted red pepper hummus the best but they are all good! I’d love to try the Spinach and Artichoke Hummus. I would love to try the onion veggie dip. I usually buy roasted red pepper hummus, so I’d like to try theirs. The Lay-n-Go COSMO Keeps Your Cosmetics Organized and at the Ready While on the Go!